Here you can find answers to commonly asked questions. YES! LensCoat ® is pleased to ship world-wide via UPS and Federal Express and USPS (United States Postal Service). Most orders will be shipped within 1 business day from when placed. All shipping is done from our factory in Freehold, New Jersey 07728. There are 8 or more different shipping options, put the items into the shopping cart and go to the checkout, after putting in your shipping address you will see all the different shipping options and costs BEFORE you are asked for payment so you can see what the shipping rates are for your particular area and service. How can I pay for your great products? We accept Master Card, Visa, American Express, Discover and Paypal. What are the LensCoat covers made of? LensCoats are made out of high quality neoprene rubber like you would find on a scuba diver suit or mouse pad etc. How do LensCoats go on a lens? The LensCoat cover is a set of custom designed neoprene sleeves that slide on and off your lens. Some sets include an optional piece or pieces of adhesive backed neoprene for sections that a sleeve would not work such as the rotating tripod collar. What are the benefits of having a LensCoat? That's an excellent question, LensCoats provide numerous benefits. First and maybe most importantly LensCoat protect your valuable equipment from bumps, nicks, and scratches. Helping your gear look good, preserving its resale value as well helping keep it performing properly. LensCoat covers provide a thermal barrier protecting your hands from hot and cold temperatures and making your lens more comfortable to handle. Can I change the LensCoat to a different pattern once I've put it on? Yes. The LensCoat cover slides on and off your lens. Many photographers purchase different patterns or colors to suit their environment. I don’t see my lens listed, can you make me a custom cover? Sure, a good many of the cover we offer started out as custom covers for someone like our cover for the Canon 1200mm seen here. Click here to send us an email and tell us what lens you have and we can give you a quote for a custom cover. The LensCoat Hoodie helps protect the front element of your lens from dirt, dust, moisture and impact. The neoprene Hoodie fits easily and snugly around your lens hood or shade in either the shooting position or reversed. The Hoodie features a reinforced removable front element protection disc made from rigid plastic and firm foam to further protect your glass from damage. What size Hoodie is right for my lens? If we sell a LensCoat for your lens then in the "Related Products" section of that LensCoat will be the proper Hoodie for your lens. We also have a Hoodie Selector on the Hoodie Page, just select the lens manufacture and then model. Also in the description of each Hoodie is listed the diameter of the hood it fits on. If you still need assistance click here and tell us the lens you need a Hoodie for. Why do I need a TravelCoat? The cases that lenses come with are typically big an bulky and are definetly not designed to be put into camera bags. TravelCoat covers are made of 3mm thick shock-absorbing closed cell neoprene. Custom tailored to fit you lens providing protection allowing you more valuable room for packing and storage. Slides over lens quickly and easily with a Velcro closure. Uses them with Hoodies for complete lens protection. What is the difference between LegCoat Covers and LegCoat Wraps? Both products protect your tripod legs and your shoulders when carrying your gear. You also both act as a thermal barrier keeping your hands comfortable in hot or cold conditions. The main differences are bulk and how they go on. The LegCoat Covers have a closed cell foam core about 1/2" thick with a slit down the side and a 2mm neoprene shell that wraps around the foam and has a Velcro closure. The foam also comes with an optional adhesive strip to help prevent movement. The LegCoat Wrap is less bulky and is made from approximately 5mm of soft spongy neoprene that wraps around the tripod leg and is affixed with a Velcro closure. The Wraps backing is designed to tightly grip to your tripod legs so they will not slide. Due to the construction and shape the Wraps are less expensive to ship compared to the LegCoat Covers especially internationally. What LegCoat Cover fits my tripod? If you don’t see you model listed on the top of the LegCoat Covers page you can use the LegCoat Selector right below the model list. You will need to measure the upper leg diameter and the upper leg length between the joints. LegCoat are typically 1-3” shorter than the leg length depending on model. What LegCoat Wrap fits my tripod? If you don’t see you model listed on the top of the LegCoat Wraps page you can use the Wrap Selector right below the model list. You will need to measure the upper leg diameter and the upper leg length between the joints. Wraps are typically 1-3” shorter than the leg length depending on model. Do I need a dedicated eyepiece with the RainCoat? No, the open back design of the RainCoat allows you to use any camera you choose without the need of a dedicated eyepiece. How does the RainCoat fit such a wide variety of lens lengths? 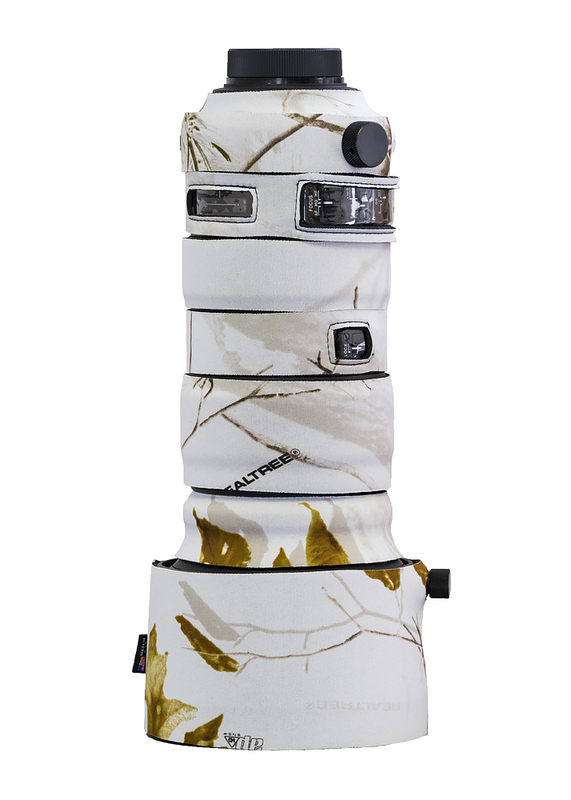 The RainCoat comes in 2 sizes Standard for cameras and lenses up to 20.5" and the Pro for camera and lenses up to 30.5”. The Pro RainCoat has a hood extension piece for large lenses like the 600mm and 800mm and has 2 built in cinch straps which allow you to fold the material onto itself and secure it so it's not bunching up and getting in the way or flapping around in the wind. The Pro can accommodate cameras and lenses like a 300mm 2.8 & 200-400mm up to 600mm & 800mm. If for any reason you a not satisfied with our product you may return you LensCoat® for a full refund, not including shipping, within 14 days of the sale. You will need to contact LensCoat® first and obtain a Return Merchandise Authorization number and instructions. Only items that have a RMA number will be accepted. You can register on our site, follow us on Twitter, like us on Facebook, or click here. What is the air speed velocity of an unladen swallow?